Stoney Creek Farm has an awesome educational opportunity for a hard-working individual seeking to experience real farm life on a progressively sustainable farm. 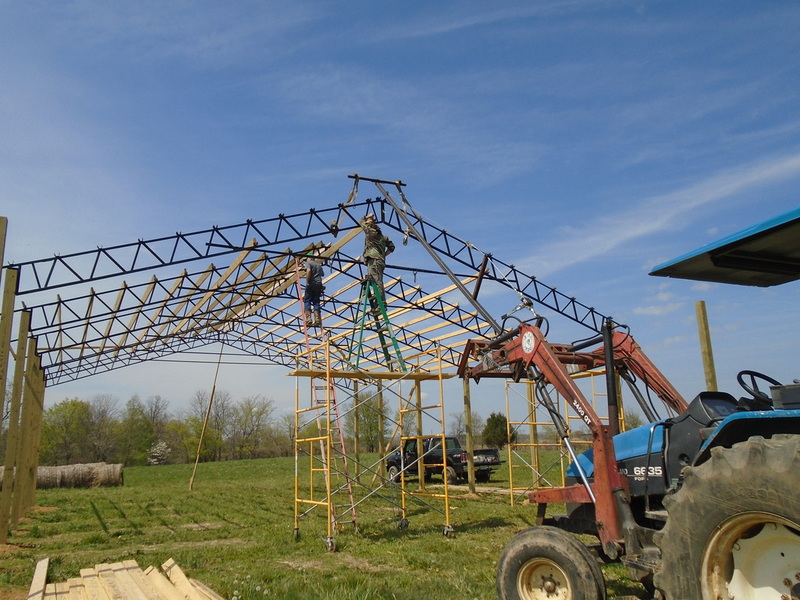 Our 175 acre farm is located in south central Kentucky where beef, pork, chickens and egg layers are naturally pasture-raised to supply meats and eggs for local markets including two weekly farmers markets. A small, grass-based Jersey cow herd supports a herd-share program which supplies raw milk for over 50 families weekly. Our soil management strategies incorporate alternative fertilization methods including the use of microbes to enrich our soils. Used cooking oil is converted into biodiesel on the farm to provide the majority of fuel needs for our farm equipment. And we have a self-designed solar array that provides most of our farm’s electrical needs with future plans to meet our home’s electrical needs as well. We are looking for someone who is interested in a farmer-in-training internship program. The program offers the opportunity to work alongside our family and learn first-hand the skills we use to manage a sustainable farm. A 2 - 4 month internship is prefered, following a 2 week trial period. Being comfortable working around large animals is essential. Room and board are provided. Evening meals Monday - Friday provided with our family. You may prepare other meals, including daily breakfast and lunch, with food from our personal freezer, within reason. Accommodations are a 28’ camper which includes a full kitchen, bath and bedroom. A stipend of $100/month is provided to our intern. We are confident the skills and knowledge acquired will be rewarding and the time invested will be fulfilling. Chores are done 7 days per week. Farm markets are held on Saturdays, and you’ll be needed to assist. On Sundays, we attend a Bible church in Glasgow, and you are welcome to join us if you choose. Only essential chores are done on these days. Dairy cows (about 10) - moving daily with temporary fence, milking fresh cows twice/day and others once/day, filling jars w/ fresh milk for our herd share owners, cleaning milking equipment. Working beef herd - deworming, sorting, castrating, tagging, etc. Cheesemaking, rendering lard, cooking, etc. Exemplary character and integrity mandatory. References researched thoroughly. Must be at least 18 years old. Contact us at StoneyCreekFarmMeats@gmail.com and we will send you an application. Submit your application to StoneyCreekFarmMeats@gmail.com. No experience required, but a willingness to work hard with a good attitude is a must. If you are interested in becoming an intern here at Stoney Creek Farm please submit an application.